Happy Tuesday everyone! I hope you all enjoyed your long Memorial Day weekend! We sure did! Before I get to our weekend pictures I have to thank those of you who noticed I have a new blog design! The wonderful Laura Jane made it for me and I love it! I know some of the links aren’t quite up and running yet…I’m still working on where everything should go. Okay, back to the weekend. The husband and I finally got a chance to try out our new boat! It was quite the adventure because we had absolutely no idea what we were doing. Luckily everyone was really nice and offered to help us launch our boat into the water for the first time. Something about us must have screamed “newbies!” I guess all the you-tube how-to-launch-your-boat videos we watched didn’t help much. When we got our boat in the water it wouldn’t start….the battery was dead. Luckily a nice guy offered to give us a jump…and it worked! Turned out the battery was good but just needed a little boost since it wasn’t used all weekend. Not gonna lie…I did start to panic big time. So so glad it all worked out. Oh and we made sure we had a paddle in case we got stranded! 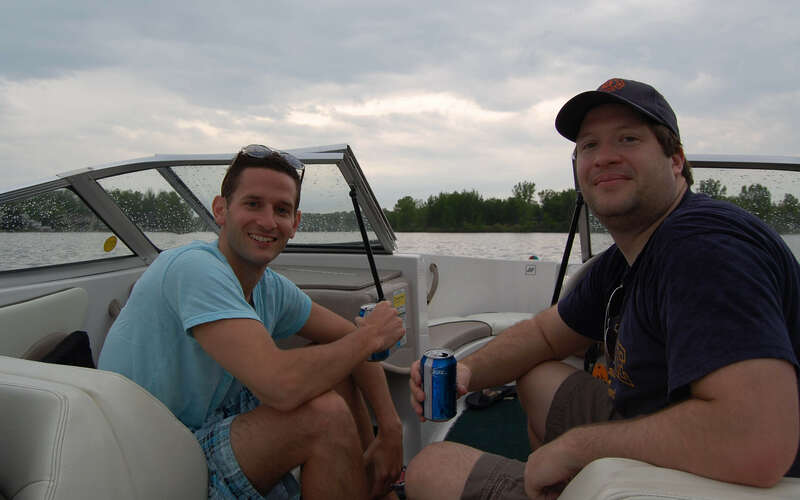 The husband picked up on the boat stuff really quickly and had so much fun ridding around on the lake. Safety first! Wrigley loved being on the boat but we could tell what he really wanted was to go swimming. The lake was FREEZING so we didn’t let him…maybe next time. I even took a turn at the wheel. It was a really cold out so I had to borrow one of the husband’s jackets to keep warm. We decided to come home Saturday night. My mom’s lake house is beautiful but there isn’t any furniture in it! 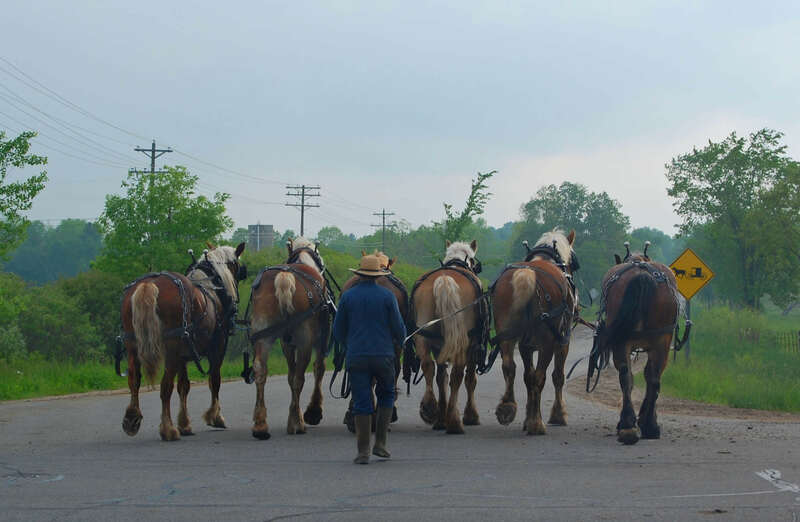 On our way home we spotted this guy walking six Clydesdale horses…loved it! The next day our friends Mo and Ali came out and we drove up to the lake together. Unfortunately it rained for a few minutes while we were on the lake…so we got soaked. Here’s one thing I learned this weekend: Always have at least one towel per person/dog even if you don’t plan on getting in the water. You will get wet! We decided to call it a night and go back to the house to make dinner. 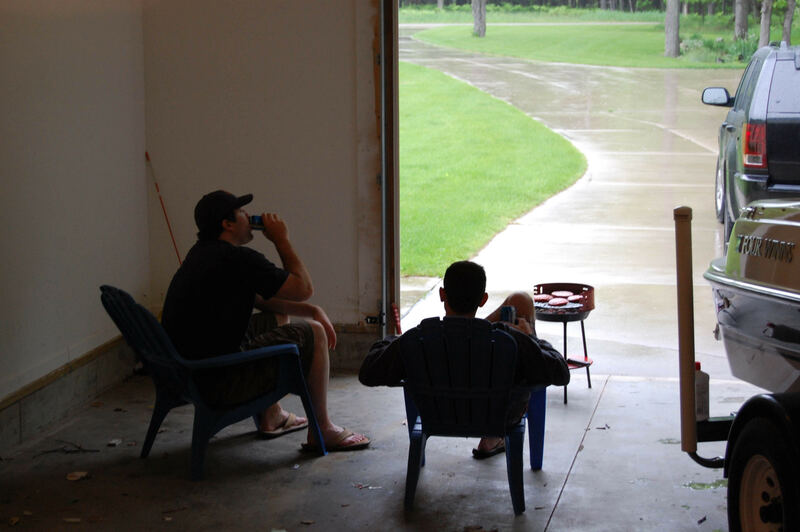 It was still raining so the boys grilled our burgers in the garage. Classy. Later on it stopped raining and we (well, the boys) attempted to build a fire…but fires are hard to make when all you have is rain soaked wood. Still…we had fun! 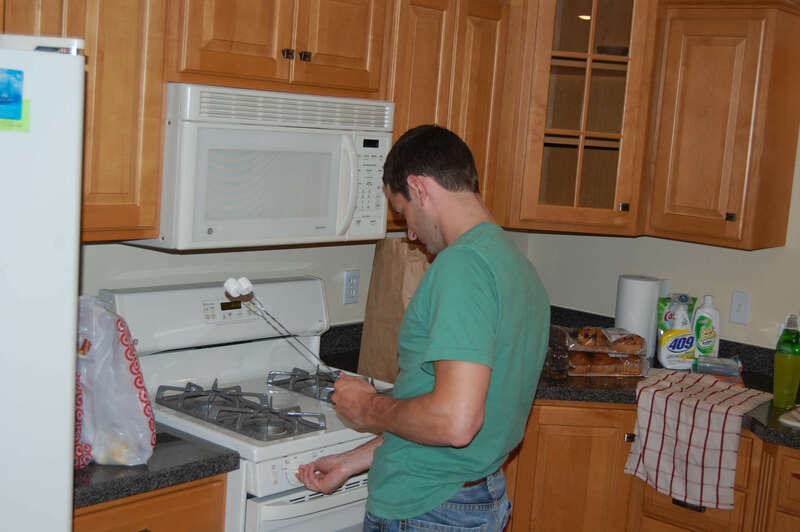 We managed to roast some marshmallows on the grill….but Mo wanted more so he used the stove. Keepin’ it classy at the lake. 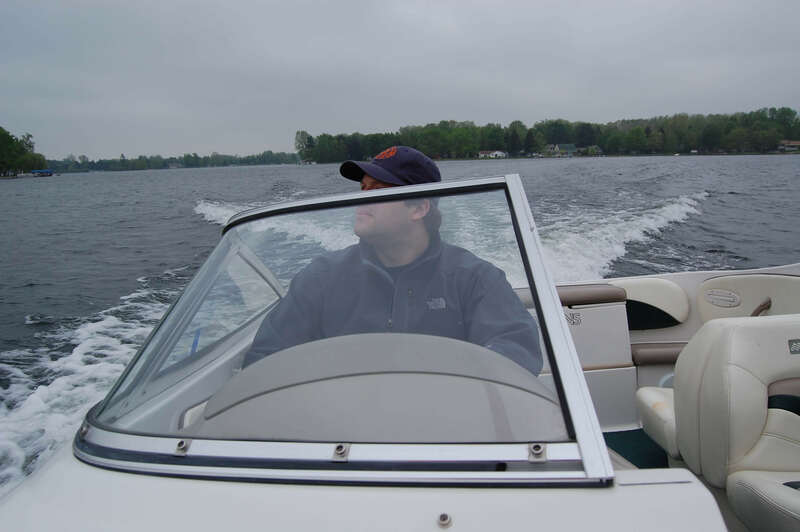 The weather was finally nice on Monday….so we went out on the boat again. After three straight boat days I was exhausted….and ready to go home. I hope you all had a great weekend! Looks like SO MUCH FUN 🙂 Gorgeous scenery!! sounds like so much fun! I love boats. Your backyard you looks gorgeous! Congrats on your boat… but something about a boat and a coat just don't go together! Wriggles looks ready to go in his lifejacket though!! Congrats on the new boat!!! We love boating as well!! 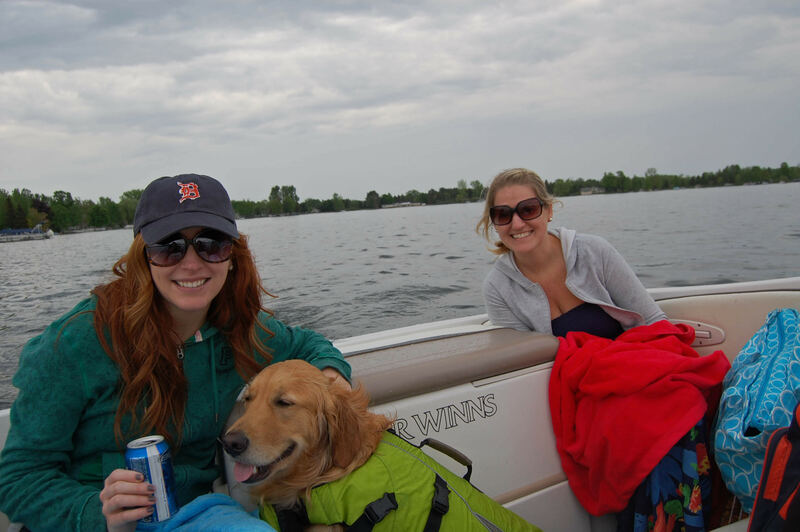 I would recommend having at least 2 towels/person and a blanket handy on the boat… lol! yay lake house!!! SO MUCH FUN! i think this is the first of many boating/lake weekends to come this summer! So glad you were able to hang out on the lake. I wish I could have sent you some of our weather. We were upper 80's/90 all weekend! Wrigley is so cute in his life vest! 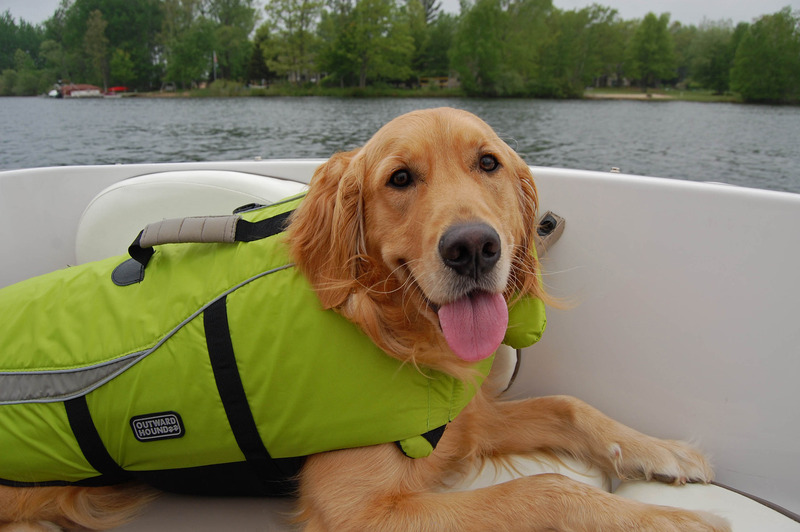 We want to take Wilson out on the boat this summer and get him a life jacket…we've heard it helps get them in and out of the boat. Do you ever worry about his needing to do his "business" on the boat? RANDOM question, I know…but I wonder how people deal with that!! Oh my gosh, this looks like SUCH a fun weekend! All my family and friends have sold their boats since everyone's getting old and I miss being out on the lake! That horse picture is SO great. So cool. Have you mentioned what lake you go to? I was just curious. Obviously you might not want to say for privacy reasons. Looks like so much fun at the lake & with friends. I'm sure there will be many more days of fun in the sun. How was your Memorial Day weekend? Ours was great! 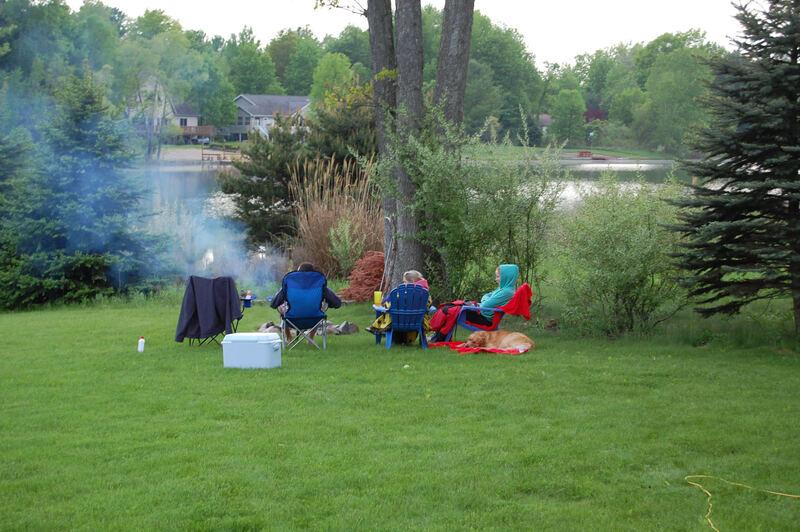 We relaxed a lot, worked in the yard and in the family room….pictures coming soon, I hope. On Saturday we went out with our friends Brett and Karri. Brett and the husband went to college together and played baseball together. Brett may look familiar to you because he was in our wedding! Karri is not only cute and fun but also has the best accent because she is from Australia! We always have a good time with these two! We went to dinner and then went to see a comedy show featuring Jon Reep, the winner of “Last Comic Standing.” We hadn’t really heard of him before but he was really funny and we had a great time. After his routine he threw some t-shirts out to the crowd and both the husband and Karri caught one! 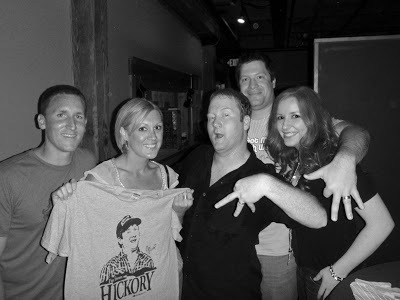 He was nice enough to sign their shirts and pose with us for a photo. Here is a shot of Jon’s highly appropriate shirt.